Muted pink on cream pattern of flowers, leaves, and other icons with accents of grey. 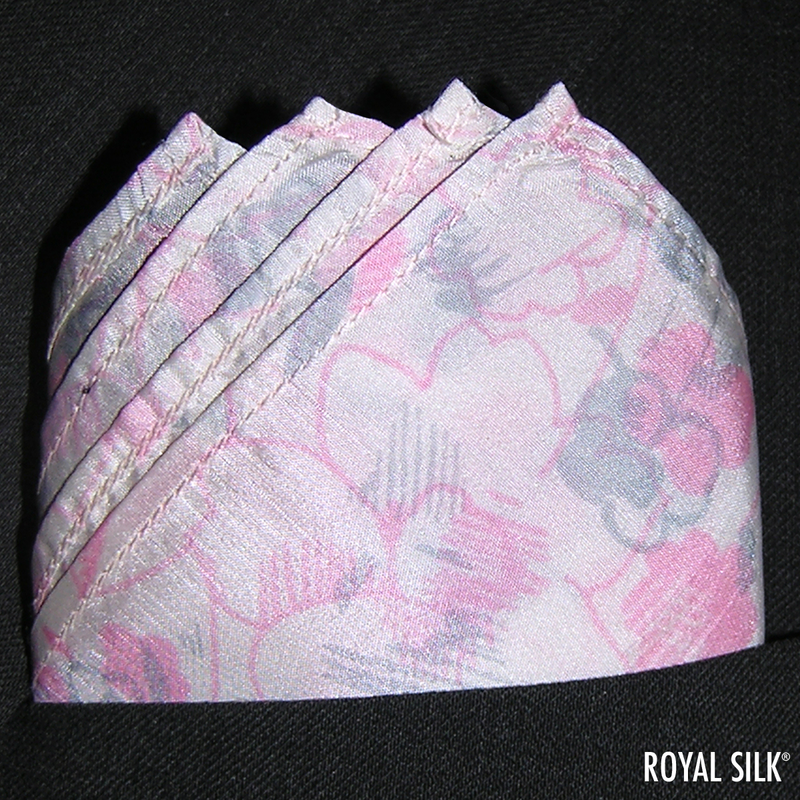 Pink Floral silk pocket square by Royal Silk. Washable India silk. About 16� square.